The Cedars Union is looking for volunteers! Stop by, Say hi, Sign up! Join The Cedars Union for a fun and inspiring public event at Klyde Warren Park! We'll be at this year's Voly in the Park with a fun activity at our booth to illustrate (hint, hint) how important it is that Dallas has a vibrant and active artist community! Stop by and sign up to become a volunteer for The Cedars Union and help us fulfill our mission of helping artists in North Texas. 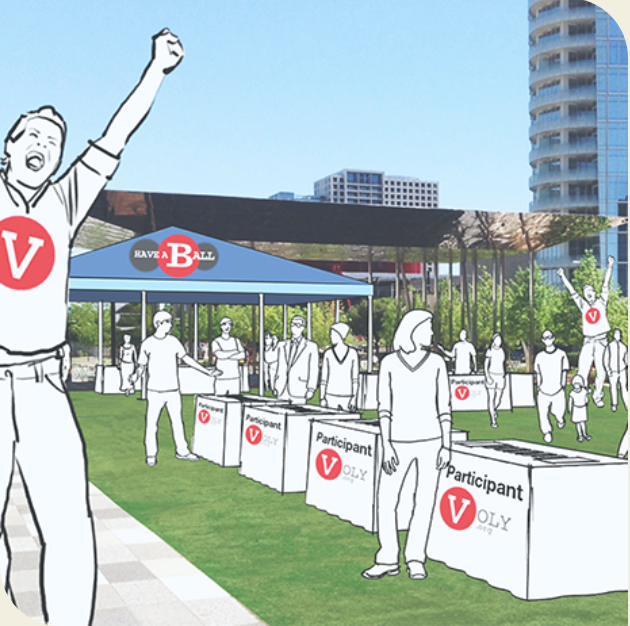 The top volunteer festival in Dallas is returning to Klyde Warren Park on Saturday, June 6 at noon! The second annual Voly in the Park is a vibrant showcase of nonprofits and volunteerism, with more than 70 nonprofits, hands-on volunteer projects and live entertainment - all to celebrate volunteerism and VOLY.org! The Cedars Neighborhood Association's mission is to improve the quality of life in the Cedars. Unlike most neighborhood associations, the CNA includes homeowners, developers and businesses. The CNA conducts monthly meetings every fourth Thursday of every month. The Cedars Union will be opening it's doors to the CNA. Let’s change that! Join us at the Meadows Museum at Southern Methodist University, 5900 Bishop Boulevard, Dallas, TX 75205, on March 23, 2018, from 10 a.m. to 4 p.m. for an all-day communal updating of Wikipedia entries on subjects related to art and feminism. We will provide tutorials for the beginner Wikipedian, reference materials, and refreshments. Bring your laptop, power cord, and ideas for entries that need updating or creation. For the editing-averse, we urge you to stop by to show your support. Wikimedia’s gender trouble is well-documented. Content is skewed by the lack of female participation. This represents an alarming absence in an increasingly important repository of shared knowledge. Let’s change that! Join us for a live Facebook training session, and we will provide assistance for the beginner Wikipedian. Bring your own fully charged laptop and power cord. People of all gender identities and expressions are invited to participate. Let’s change that! Join us for a communal updating of Wikipedia entries on subjects related to art and feminism. We will provide tutorials for the beginner Wikipedian and refreshments. Bring your own fully charged laptop and power cord. People of all gender identities and expressions are invited to participate.